The most prominent and prestigious business address in all of Hong Kong. 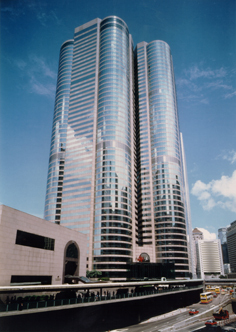 Two Exchange Square is home to the Hong Kong Stock Exchange and known to many as the "hub of Asia's business work." You and your clients are greeted to a beautiful landscaped plaza all in a professional and friendly environment. A convenient pedestrian bridge system along with easy and direct access to both the Central and Hong Kong MTR stations ensures that Two Exchange Square is well connected to the rest of Hong Kong. Surrounded by world class restaurants and hotels as well as a direct connection to the Air Express Train Terminal.